OMG – Check Out Shivangi Joshi’s New Look! It’s A Must See! Yeh Rishta Kya Kehlata Hai’s Shivangi Joshi has made her way into the hearts of her fans as Naira. Lately, between her daily soap and brand events, Shivangi has recently done a photoshoot dressed in a gorgeous blue dress. The actress is seen dressed in an outfit by Rippi Sethi, styled by Mur Kishore Kumar, jewelry by Rimayu and makeup by Tanya Chowdhury. 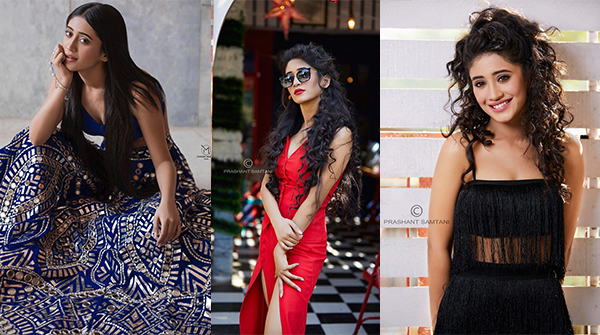 Photographed by Tanmay, Shivangi Joshi manages to steal hearts in seconds. No doubt, this is a style you’ll definitely want to replicate at your next event! The outfit is very nice!!! !